Michael is the senior and managing partner at Reilly & Partners. He is certified by the Law Society of Upper Canada as a specialist in family law. An accomplished litigator with over 25 years of legal experience, he has restricted his practice to primarily family law for the last 20 years. Michael has successfully argued cases at every judicial level in Ontario, including the Court of Appeal. Notwithstanding his success in the courtroom, family law often requires a less adversarial approach and he remains focused on early resolution. Mediation should always be seriously considered, especially by those who may choose or have no alternative but to represent themselves in a family law dispute. Michael is a family mediator who not only has an extensive background in family law, but also mediation training and over 15 years of mediation experience. In fact, Michael has assisted in the resolution of over 90% of the cases in which he has acted as mediator. After spending two years in undergraduate studies at the University of Toronto, Michael accepted an offer for early admission into Osgoode Hall Law School. He graduated from Osgoode Hall in 1990 and worked in a mid size litigation firm in downtown Toronto for the next few years. 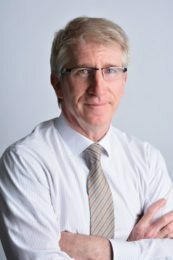 In 1994 he started his own law firm in the east end of Toronto, later adding five other lawyers and relocating the firm to its current location in Pickering Village, Ajax. Michael is certified by the Law Society of Upper Canada as a specialist in family law. He restricts his practice to family law and is experienced in most aspects of separation and divorce including custody, parenting schedules, child support, spousal support, property division, prenuptial/cohabitation agreements, and separation agreements. Family law litigants are not always served well by the court system. The adversarial approach is rarely beneficial for a family, but is sometimes necessary. Mediation and other forms of alternate dispute resolution are often better options but are too frequently ignored early in the process. A family law lawyer must be able to operate in the high conflict atmosphere of the court system as well as the alternate dispute resolution regime. Michael's success in the court room and his years acting as a mediator have provided him with significant experience in both areas.